Curly Girl Goes No Poo: Baking Soda Trouble...? Below is quoted directly from Zombies4Breakfast post on Washing in Hard Water - a great read! NO NO NO NO NO! I was totally wrong. 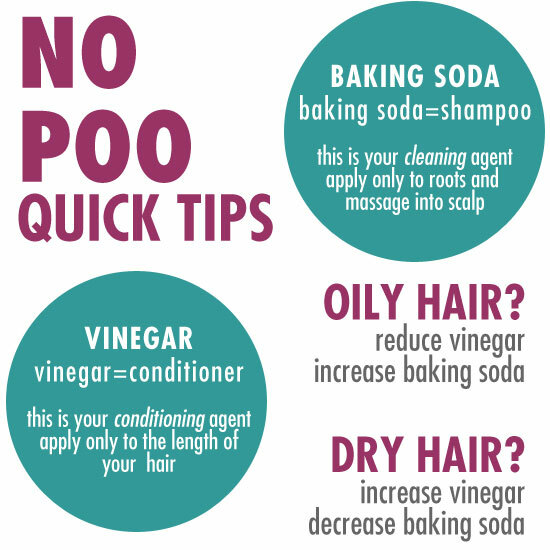 The No Poo solution feels VERY DIFFERENT from regular water. I wouldn’t call it slippery so much as slimey, but not in a gross way. The slippery, slimey feeling of the solution is actually something I look forward to feeling when I wash my hair (in the same way I looked forward to the lathery feeling of bubbles when I used shampoo). The sensation makes me feel like my hair is really getting clean. The importance of the slippery, slimey feeling is KEY because it lets you know that you’ve reached the right ratio of water to baking soda in your solution. When I used the original No Poo recipe (1 Tablespoon baking soda to 1 cup water), I never achieved the slippery feeling because the minerals in hard water affect the way the baking soda solution combines. Boiling your hard water can get rid of some of the minerals, and I also believe that putting your baking soda in hot water helps it dissolve more quickly and efficiently, which helps you achieve that slimey, slippery effect. What is that Slippery Feeling When You No Poo? Before I started to wash my hair No Poo style I must have read a million articles and comments all over the web. Then, when I actually went No Poo I read more. My hair looked and felt like, well – poo! I was not happy. This was not the holy hair grail I was promised. WTF No Poo people? Then I learned about “that slippery feeling”. I don’t remember which blog I was on, but I do remember it was in a long thread of comments that I read something about your baking soda solution feeling slippery in your hair when you apply it. Slippery? My baking soda solution had always felt dry and cottony on my hair. So I researched some more and found that baking soda acts as a natural water softener. I increased the amount of baking soda in my solution until I achieved the slippery feeling mentioned – VOILA – success! NOTE: If you are blessed with soft water your No Poo hair success will come faster than those of us with hard water. If you have hard water plan on having to increase your baking soda till you achieve “slippery”.